We've just announced two new webinars for February. Get all the details below! If you live on Florida's Treasure Coast, our February live seminar is a week from today. We hope you can join us. Get all the info below! Question: "I got this warning on my screen that my IP address is exposed to the world and my financial information might be at risk. Is this true? If so, how can I hide my IP address?" Answer: First, you need to know that every device that accesses the Internet is assigned an unique IP (Internet Protocol) address. If you have a modem in your home, that modem has its own IP address. 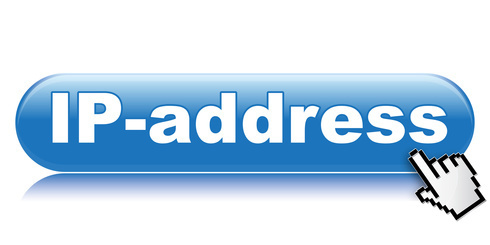 This is the address the Internet world sees. Generally, your individual computing device would have what's called a LAN (Local Area Network) IP address which is different than the IP address seen on the Internet. Unless you're doing something illegal, there's really no need to try and hide your Internet IP address. We compare it to the house number where you live. You may have your house number on your mailbox or the house itself and people driving by can see it; however, seeing the address on your house doesn't really tell people anything about you, including your bank account balance. There are two types of IP addresses: dynamic and static. Dynamic IP addresses are changed by your Internet Service Provider (ISP) from time to time for various reasons. Companies, on the other hand, often have static IP address, meaning they never change. As an example, the website www.microsoft.com has a static IP address of 23.214.166.231. The advantage to having a static IP address is that computing devices can always find your site. The disadvantage is that a static IP address gives hackers a head start - they don't have to search for your address, they know exactly where you are. Naturally, businesses with static IP address have equipment and software in place to keep hackers out (though not always successfully). As for the message our customer received about being at risk, that is a social engineering trick. The people responsible for the message are trying to panic you into making a bad decision. You should always ignore these kinds of messages and, if you can't get rid of the message, you might have to force a shutdown of your computer by holding in the start button for 8-10 seconds. If you're curious as to what IP address the Internet sees when you open a browser, you can find it my visiting our tutorial page: www.4kcc.com/help. Look at the top center where it says "You are visiting from." You should also know that there are now two versions of your IP address, V4 and V6. We'll explain the differences in another Question of the Week email. We had such a great time at our January seminar and attendance was at an all-time high! If you live on Florida's Treasure Coast, we hope you can join us for our February seminar entitled "Snoopy Vs. The Red Baron." The cost is still $8 per person. We're going to explore some features of your computer you may not know exist. It will be a fun session and you're guaranteed to learn something new!